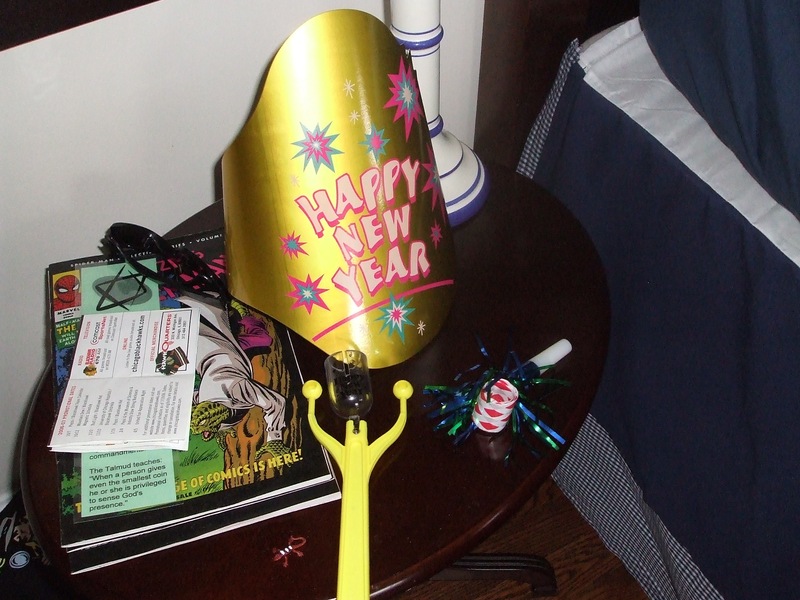 this is the detritus of the new year. or of the exuberant ushering in, i should say. it is piled beside my sleeping 5-year-old. he ushered in wildly. not me. i took it in with a deep breath, a voracious prayer and something of a knot in my belly. maybe it’s what happens when you are on the eve of your mid-century mark. maybe it’s what happens when you, sadly, come to know the ebbs and the flows of this life. there will be joy. there will be sorrow. it happens. my 5-year-old, bless him, doesn’t have a clue. he was so thrilled to be up with the big people, he would have yelped for whatever the reason. so there he stood, one of a chorus line, all in their shiny paper hats, clenching noise makers with both fists, standing inches away from the couch, a couple feet from the screen where the shiny ball was glittering, blinking, seducing. for a kindergartner learning to count, this backwards tumble from 10 down to 1 was sheer joy: he could do it, he could be part of the roar. so he shook, and he leapt, and he counted. and i stood off to the side. drinking in his exuberance. delighting in his delight. but not being able to swallow the dim-watted dread that had lodged in my throat. then in the night, when the clock read 4 something, we awoke to our room bathed in the blinking red light of something amiss. oh, no, happy new year, i thought. or my husband, he said those words. it’s all rather foggy. but we groped, both of us, toward the window, and there, at the curb, was the ambulance. the dear old lady next door goes off in an ambulance sometimes once a month, sometimes more. but never before in the dark before dawn. so on this night of brand new beginnings, we had gone to sleep to the pop-pop of pyrotechnics down the block, woke up to the red bath of light of an ambulance idling in the night. kind of hard to shake off the trembly sense of what the new year will bring. i pray to God we all have the strength to take it, whatever comes. i pray mightily, deeply, exuberantly. Seamus Heaney’s (the Irish poet who most touches my soul) has spoken of life as “it is about getting started, keeping going and then starting again.” Yes, indeed. When encircled by friends, this becomes possible. Thank you for providing your table with a chair and place set for each of us during 2007. It’s great to read the beautifully detailed reporting and observations of BAM, followed by the wisdom of MBW. That Children’s group retains its legendary literary power. …keeping going, and starting again…Wow, isn’t that the truth? And BAM, there is something so vulnerable about those wee hours. I hope your neighbor is okay. Those hours are Intimate, too, as Mr. Kindergarten seemed to get as he became part of the club. There is something so primal about belonging.